In the olden days they didn't have lip balm. When their lips got chapped they'd cut off the top of a dill pickle and rub it around on their lips. Sure, it stung a bit, but that's just the way it was back then. 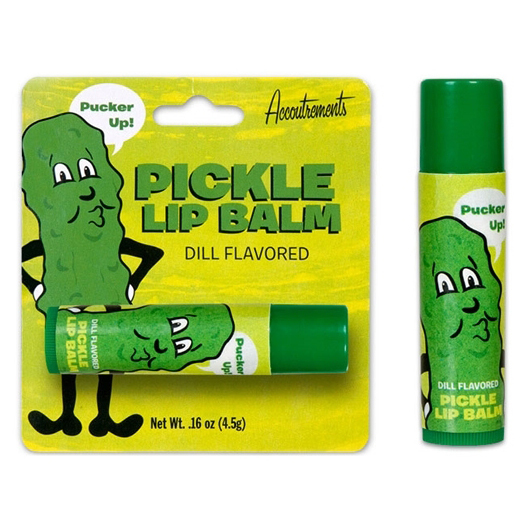 Fortunately, in these modern times, we can soothe our lips with a coating of this dill flavored Pickle Lip Balm. Sure beats carrying a dill pickle in your pocket! Illustrated blistercard.